There is, of course, a short account in Magick and I do not think that it is a very satisfactory one, certainly not in view of what you have asked me. No, it certainly won't do at all. The main point of your letter appears to be a question as to whether I think it worth your while to devote a great amount of time to it; whether its usefulness repays the pains required to master it. Now here we come to a question of personality. 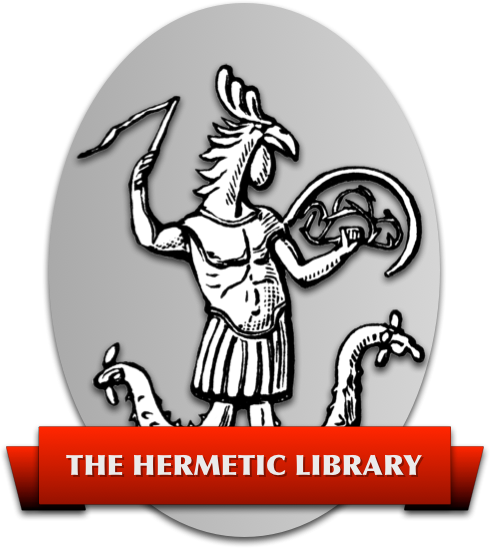 The first thing to remember about Geomancy is that although the various intelligences are attributed to the twelve signs of the Zodiac they all appertain to the element of earth. Anyone therefore who has got in his nativity an earthy sign rising, or the sun in an earthly sign, or a good proportion of planets in an earthy sign, is much more likely to find Geomancy attractive than anyone the principal features of whose horoscope are devoted to other elements, especially air, which of course is the enemy of earth. Now these remarks apply of course very much to the type of question that is likely to be within the grasp of the Geomantic Intelligences, that must certainly be considered as well as the natural faculty of the practitioner to master the art. I ought of course to emphasize that I am just the worst person in the habitable globe that you could have asked about this matter, as my rising sign and my planets are all in fire, air, or water, except Neptune, which as Astrology teaches, refers not so much to the Native as to the period of life. A resident of Johannesburg and singularly gifted with the power of getting physical results to take place as a result of Magical experiments. This man was as strongly attracted to Geomancy as I was repelled, and I do not know that it would be fair for me to claim that I had been of any special use to him, though he was always kind enough to say so. When I pointed out that the answers to Geomantic questions were so vague and indeterminate he had already devised a method whereby this difficulty (which he admitted as existing) could be overcome. It is of course of the very first importance in Geomancy to frame your questions accurately; for the Intelligences serving the Art delight in tricksome gambols. If there is a possibility of assigning a double meaning to the question you can bank on their finding it, and deceiving you. Of all this my disciple was well aware; and he had become extremely artful in allowing no ambiguity to spoil any of his questions. But as to the further difficulty about their vagueness, what he did was to arrange a series of questions narrowing the issue step by step until he had succeeded in obtaining a precise instruction which would resolve his original difficulty. I do think, as a matter of fact, that I was able to help to some extent on the purely theoretical side of the Art, and he went back to South Africa feeling himself fully equipped to deal with any problem that might arise. At that time we were particularly anxious to wind up the first volume of the Equinox with a No. 10, which should be a really massive contribution to Magical thought. That meant a very considerable increase in the cost of production. All this my Disciple, of course, knew, and on arriving in Johannesburg he said to himself “Well, here I am in a part of the world where the earth teams with gold and diamonds. I will procure the necessary funds for the Equinox_and various other financial necessities of the Work by Geomantic divination. The answers to his series of questions indicated that he was to go out of the city where he would find a deposit. The next questions in his series were directed to finding the direction in which he should start his exploration. That was easy. The next question was the distance involved, and he could think of no way of framing questions which would inform him on that very important point. He got at it indirectly, however, by asking as to his means of transport, and as to that the answer was quite clear and unmistakable. He was to use a horse. Well, he had a Boer pony, and next morning he set forth with provisions for a day's journey. On and on he went and found no geological indication of any mineral wealth. Presently he began to get tired and thought it was a little late. He could see in every direction across the Veldt and there was nothing at all. A mile or so in front of him, however, was a row of small kopjes. He said, I may as well go on and get a view from the top. This he did; and there was still no geological pointer. It struck him, however, that he was getting short of water; and just below on the far side of the kopje were a number of apparently shallow pools. But, when he got to the water, his horse turned sharply aside and refused to drink. At that he dismounted and put his finger in the water to test it. He had struck one of the most important deposits of alkali in South Africa. Mineral wealth indeed! He went home rejoicing and took the necessary steps to protect his find. In the course of the formalities he found it necessary to come to London, which he did, and told me the whole story. Unfortunately we end with an anti-climax. The negotiations went wrong; and the property was stolen from under his nose by one of the big alkali firms. However, it was a good mark for Geomancy. I am afraid that all this is a digression. As I indicated above, what you want to know is to be found in the official instruction on the subject in the Equinox. Now far be it from me to cast any doubt on any official instruction, but I cannot help saying that in this particular instance it does not give very full details, and I think you would be well advised to investigate the whole subject afresh, basing you enquiry on the general principles of the science. You will presumably have noticed that the Geomantic figures are derived from taking the permutations of two things, four at a time, just as the trigrams of Fu-Hsi are two things taken three at a time, and the Hexa- grams of the Yi are two things taken six at a time. The system is consequently based upon 16 figures and no more. Of course all systems of divinations which have any claim to be reasonable are based upon a map of the universe, or at least the Solar system, and 16 is really rather a limited number of units to manipulate. However, if you are the type of person who has a natural bent towards this particular Art you will be able to develop it on your own lines, guided by your own experience. I do not think there is anything further to add to these scattered remarks except that so far as I know none of the treatises on the subject (with the single exception of the official instruction) are any use at all. I feel rather acutely how unsatisfactory these remarks must sound to you, but it is the best that I can do for you. You must regard it either as an excuse, or a confession of incompetence, that I have always had this instinctive distaste for the subject. 1: The item on “Geomancy” is in Equinox, Vol I, No. 2. The method provided there is the French adaptation of an African method like the Ifa Oracle of the Yoruba people at Great Zimbabwe. This technique has superficial similarities to the Yi King, and four-line Geomancy was known in Europe from late Medieval times. The Geomancy mentioned in The Sacred Magic of Abra-Melin and in a few stories of the Arabian Nights is usually based on recognition of shapes, including Arabic letters, in randomly disturbed sand. This French method uses a count of odd or even in a series of random strikes against a sand or earth surface to determine the figure – WEH. The instruction in the Equinox is taken almost verbatim from a Golden Dawn paper, itself adapted from the treatise on Geomancy attributed to Agrippa which was published in the 16th century (see Agrippa, Opera, vol. I). Certain crucial omissions were made and the method was delinated very unclearly; the version in Regardie (ed.) The Golden Dawn is more intelligible although it omits some of the tables which appear in the Equinox publication – T.S. 2: According to the version of this story in Confessions, this was James Windram, Frater Semper Paratus, who later became head of the South African section of the O.T.O. under Crowley – T.S.